Is it time to sell your Chevy? We buy any Chevrolet models from $50 junk cars to $100,000 top-of-the-range examples and pay a premium for low mileage clean examples. If you have mechanical or electrical problems, we will still buy your Chevrolet for a fair market price and offer a fast, easy, hassle-free vehicle selling solution? 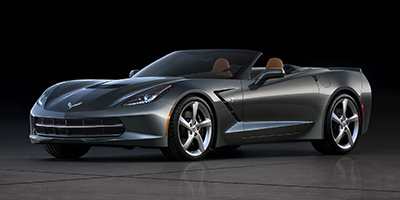 We specialize in buying any model Chevrolet vehicle, no matter what condition it is in. Even if your Chevrolet won’t start, has high mileage or is completely rusted out, we will still buy your car. Chevrolets with modifications, diesel or gasoline engines and any kind of transmission are all welcome. Our customer service specialists will give you top class service and offer you a fair and honest assessment of your Chevrolet’s value. For a stress free quote on your Chevrolet, simply enter your Chevrolet’s details into our online valuation system to get an instant online quote in as little as 60 seconds. We will give you a fair price when the time comes to sell your Chevrolet and buy all models of Chevy cars, trucks, MPVs and SUVs including the Avalanche, the Camera, the Corvette, the Impala and the Traverse Crossover. Chevrolet was started in 1911, and acquired by General Motors in 1918. For over 90 years, Chevrolet has produced cost effective vehicles which provide long term value for any buyer. Chevrolets are well known for low service and maintenance costs, and many models offer low fuel consumption while still offering spacious interiors, great handling and contemporary design. With Chevrolet aiming to produce more and more vehicles that can run on alternative fuels, the company continues to be a major player in the US and worldwide automotive marketplace.